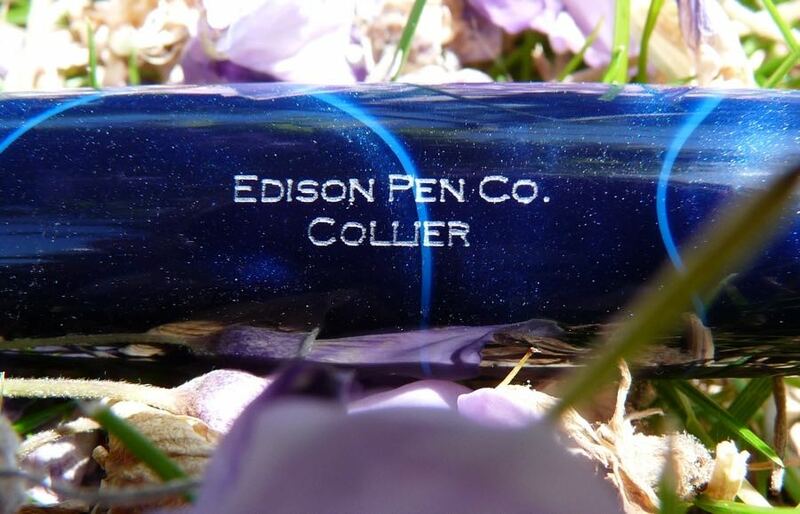 Edison Collier Fountain Pen Review – Pens! Paper! Pencils! 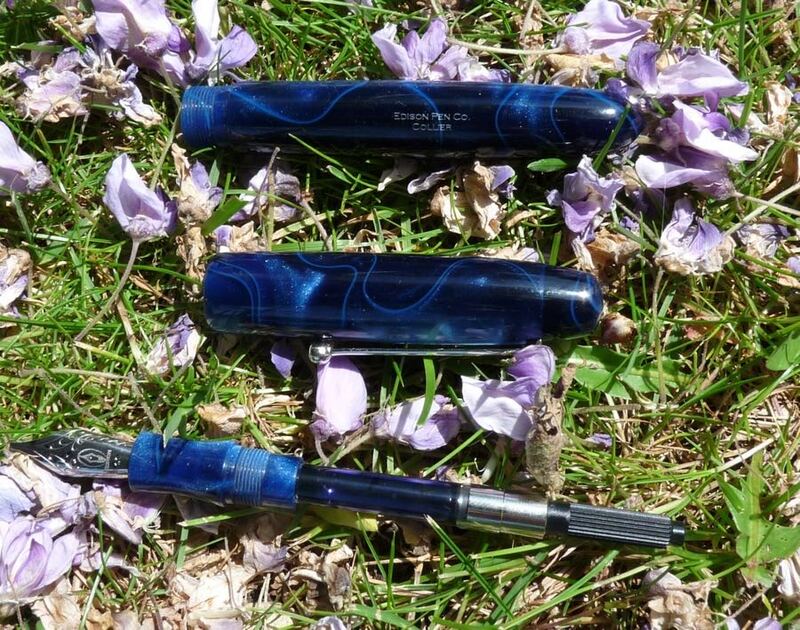 The Edison Pen Company’s main business is in custom-made pens, their Signature Line, but they also have this Production Line range, made in the same way but in larger quantities and without the customisation possibilities. The benefit is that they’re cheaper and more readily available. I was lent this pen by The Writing Desk so I could write a review. 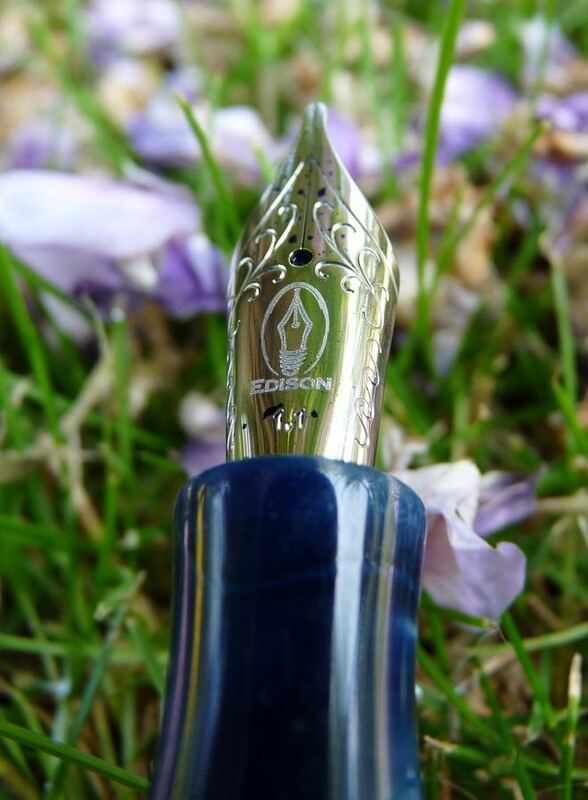 As far as I know, The Writing Desk are the only authorised UK retailer of Edison Pens. These are my own honest opinions. The first thing you notice about the Collier is gorgeous shiny swirls in the acrylic. 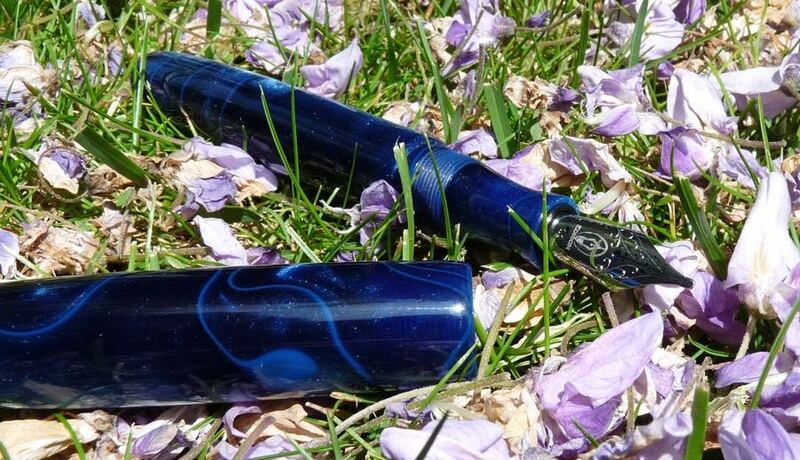 The lines and deep areas of lighter blue shimmer as you turn the pen and the effect is lovely. 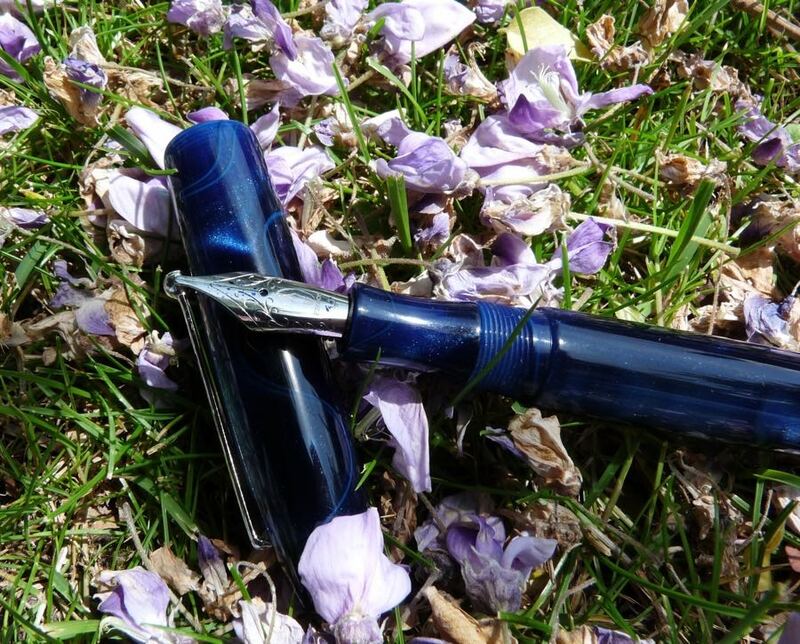 The shape of the pen, together with the old-school maker’s stamp no the side of the barrel, makes it seem traditional, vintage even, but the acrylic feels modern. 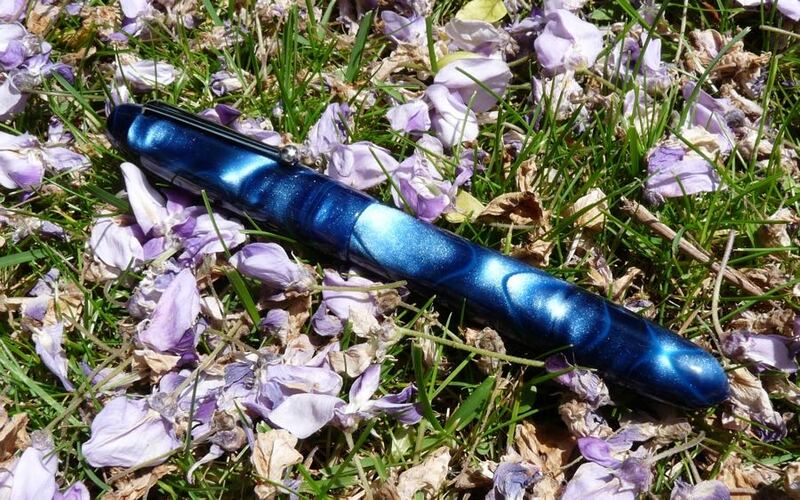 They combine and compliment each other to make a pen that feels very special. The clip is very simple: nothing special at all but functional enough. The two parts of the cap – above and below the clip – do not match up. It’s rare they do on pens in this price range, the extra work involved in making that happen is just not economic, but I find it distracting nevertheless. The cap screws on to close and doesn’t post. The 1.1mm stub nib, made by the ever-reliable JoWo and engraved with the Edison Pen Co logo, is smooth and has good flow. It gives good line variation without being a challenge to write with. 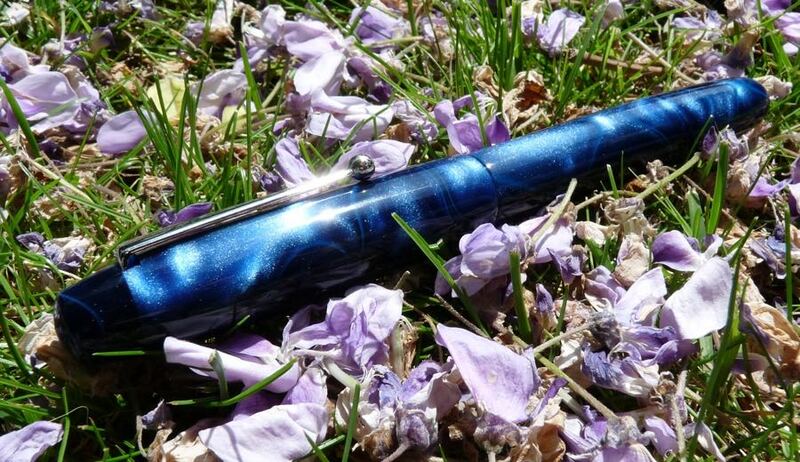 The pen comes with a converter and will also take standard-sized cartridges. 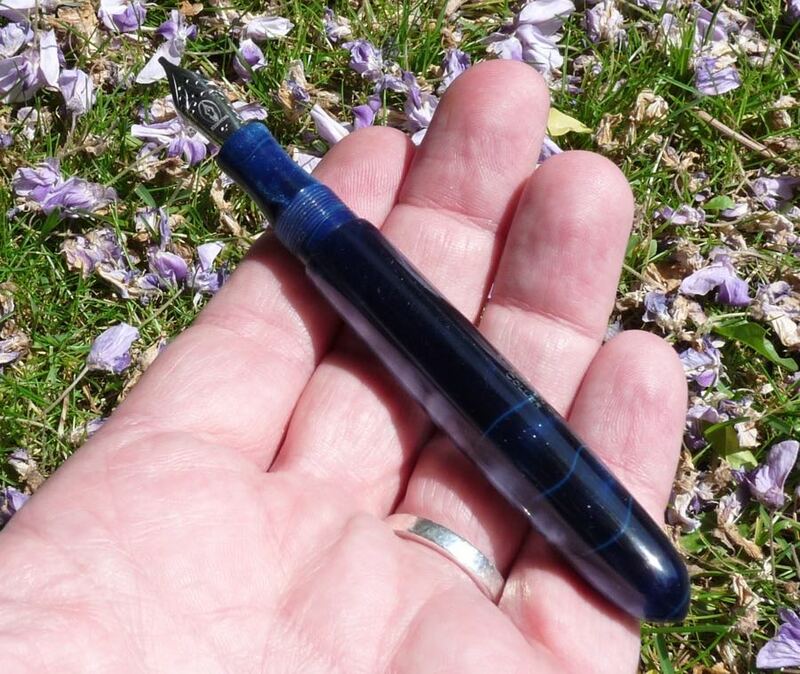 The Collier is a very comfortable pen in the hand. The section is scalloped to fit your fingers perfectly. The threads are nicely out of the way. The barrel is long and fairly plump and also light. This all adds up to a really very pleasant writing experience. You really could write War and Peace with this, if someone hadn’t beaten you to it. Sometimes you can just tell that a pen has been made by people who really care about what they’re creating. Brian Gray, Edison’s founder, and his team quite clearly care. They’ve made a pen that is beautiful to look at, that has a character that bridges tradition and modernity, and is a pleasure to use. You can find some more reviews of the Collier on Pennaquod. One of my favourites too – I have the persimmon one, a violent orange torpedo, and the silver which is a bit less in-your-face. It’s one of the most comfortable pens I’ve got. 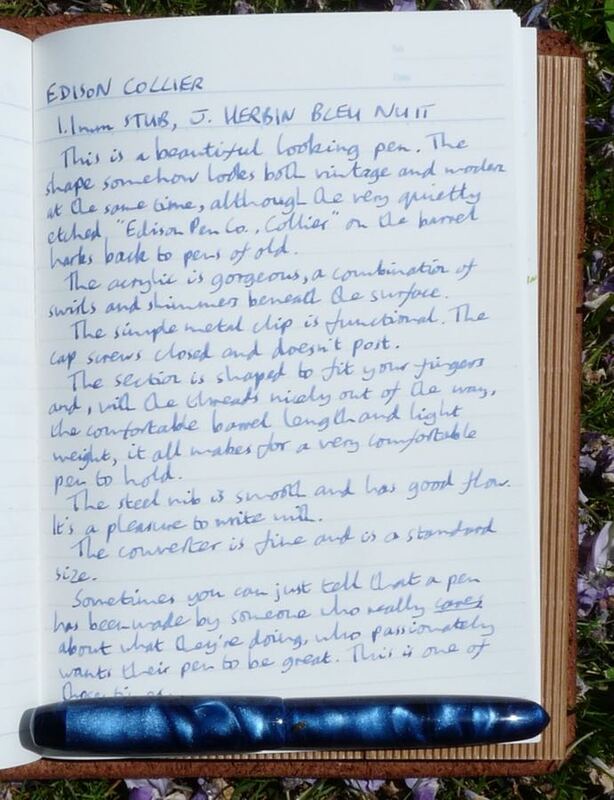 The stub nib is great – I find it will work quite well for calligraphy as well as normal writing. I’ve admired the acrylics Bryan uses in his pens for some time – he really picks nice materials.